Istria Montparnasse is a colonial-style hotel located in the centre of Paris, 1 km from Montparnasse Tower and Jardin de Luxembourg, and near the Latin Quarter. Istria Montparnasse is just 100 metres from Raspail Metro station, making it easy to discover all of Paris’s attractions. The rooms feature free WiFi, minibar and tea and coffee making facilities. They also have satellite TV and a private bathroom with free toiletries. Breakfast is served daily at the property. 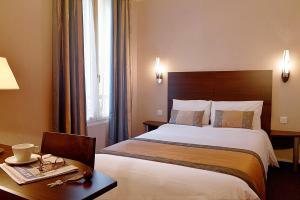 Facilities at the Istria Montparnasse include a 24-hour reception, a lift and an express check-in facility. 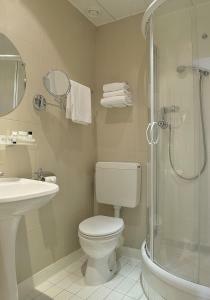 The property is 2.4 km from Notre-Dame Cathedral and 3.1 km from the Louvre Museum. 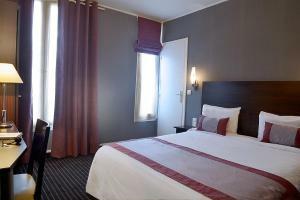 This spacious room faces the street or courtyard and features a view of the Montparnasse Tower, a flat-screen TV, free Wi-Fi access, a minibar and safety deposit box. Rate: € 99.00 ... € 199.00; select dates below to get current rates. 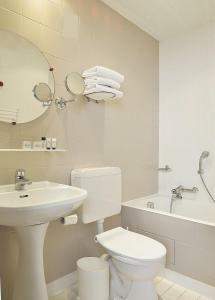 This air-conditioned room offers a TV with satellite channels and a private bathroom with free toiletries and a hairdryer. 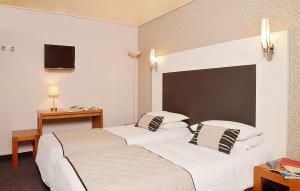 This air-conditioned room features a minibar and a TV with cable and satellite channels. The bathroom is complete with a hairdryer and free toiletries. Rate: € 163.00 ... € 199.00; select dates below to get current rates.